Mr. Brown confounds and intrigues with a fast-paced tale that won’t disappoint with all its twists and turns. The Amazon, 1982 . . . a ruthless young entrepreneur named Bernard Henderson hires a group of mercenaries to exterminate a remote tribe, except for a handful of its members. The reason: The tribespeople are shapeshifters and Henderson envisions a macabre way to make a profit. Fast forward to 1993. WereHouse, Inc. begins selling werewolves as pets. Business is booming. Everyone has to have one. At this point, one might ask why anyone in his right mind would want a pet werewolf? That could be answered with another question: Why would anyone want a python or a leopard as a house pet? When EMG-tech Christine and her partner are called to a remote home, she doesn’t know she’s about to enter a waking nightmare. Her next conscious moment finds her in a hospital, suffering from multiple lacerations. Her partner is missing, and she’s told she and the inhabitants of the house were attacked by marauding coyotes . . . none of which explains the terrible chest pains and the sudden craving for tons of hamburger. In Columbus, Ohio, a homeless vet named Steven is abducted and subjected to surgery and behavior modification through torture. He awakens to find himself unable to speak, walking on all fours, and being lead on a leash. His escape is assisted by two factory workers who have no aversion to digging a microchip out of a runaway werepet’s neck. Aiden Talik, mentored by Henderson when his own werepet killed his parents, is now a member of the WereHouse’s “cleanup” crew. He stumbles on the conglomerate’s secret when he’s sent to kill something that shouldn’t exist: a female werepet. He corners her and is dumfounded when she transforms into a small and very frightened woman. Now he realizes all along he’s been killing humans changed by surgery and injections of werewolf blood for Henderson’s fun and profit. Showing the action from multiple points of view brings a scope to the story that would be impossible if a single character served as the narrator. Both the heroes and the villain give their version of what’s happening, and this particular device enhances the story and speeds it along. After meeting Christine, Aiden’s shock becomes protective instinct. The two bond while sharing their fears as they delve into dangerous territory, not knowing whom to trust. Their unity very soon changes to love as they struggle to expose Henderson’s scheme. Henderson appears to have the entire world in his pocket, but the stakes are too high not to try to stop him. Realizing the game’s up, the businessman tips into near insanity as he releases his killer wergs on an unsuspecting city. Then the more aggressive wergs begin to revolt. It’s been said since the 16th century that every dog has its day. Now the werewolves are having theirs. 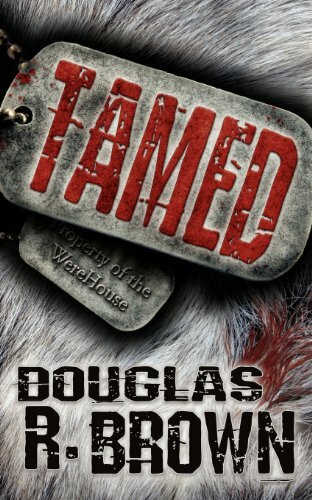 Tamed is a novel difficult to summarize. Well-written, with concise descriptions and tight narrative, it takes a unique view of a legendary subject. At first glance, the main characters seem stereotypical—the ruthless businessman determined to make a buck at the expense of human life, his employee abruptly disillusioned as he learns the truth, the innocent victims fighting to survive—such that only a talented pen married to a wild imagination could escape the clichés and transform the story into something exceptional. Mr. Brown does just that with a fast-paced tale that won’t disappoint with all its twists and turns.